Jack is joining 5 Lakes Energy as a Senior Advisor, focusing on energy and water policy advocacy initiatives. 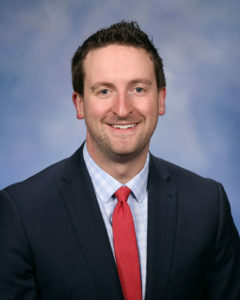 P rior to joining 5 Lakes Energy, Jack served as the Chief of Staff to House Democratic Leader Sam Singh (D – East Lansing) and has an extensive background working within government, the advocacy community and on electoral campaigns. In his previous role as the Deputy Director of the Michigan League of Conservation Voters, Jack played a leadership role in a multi-year campaign to overhaul Michigan’s renewable energy and energy efficiency standards. He also has experience designing and implementing programs promoting citizen engagement in government and a successful track record building and growing organizations focused on advancing policy change. Jack lives in East Lansing and serves on the board of the Michigan Political History Society. At 5 Lakes Energy, Jack will be providing his expertise to advance Michigan’s push to become a leader on clean energy and energy efficiency, and working to bring together non-profits, foundations and government to address Michigan’s most pressing water quality issues. He is excited to join a group of the brightest minds on energy and water policy in the state to improve the quality of life of people throughout Michigan. Jack can be contacted at jschmitt@5lakesenergy.com. The 5 Lakes Energy team is thrilled to have Jack on board!